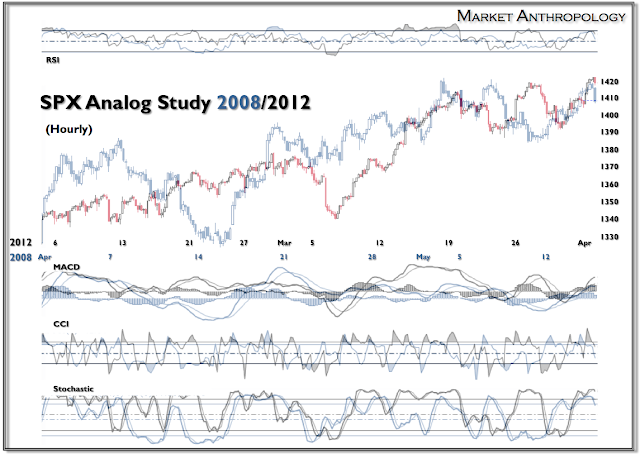 Here are a few more charts as an addendum to my previous note. The first is an hourly analog overlay from the last time the market traveled these roads. Not a tight replication by any standards - except perhaps through time (both 2 month periods) and price. 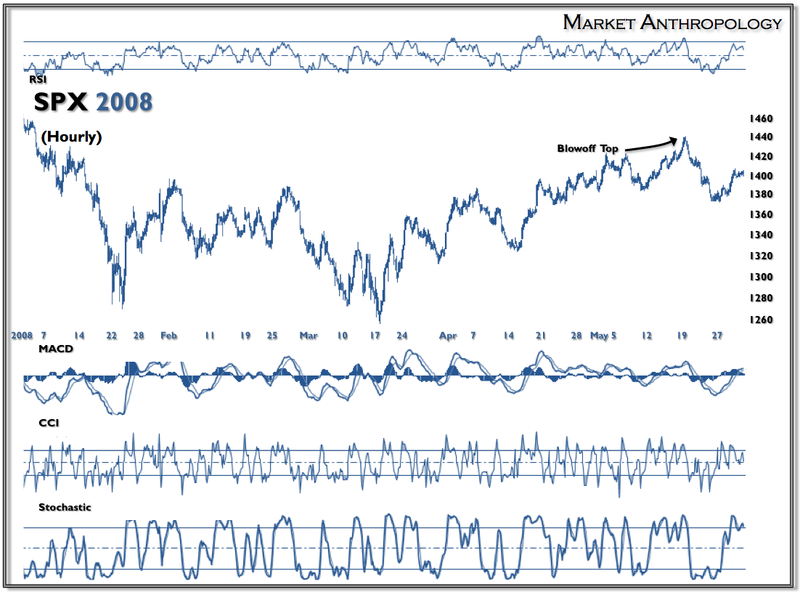 Back in 2008, the market retraced from a March low of 1256 to an intraday high on May 19th of 1440. 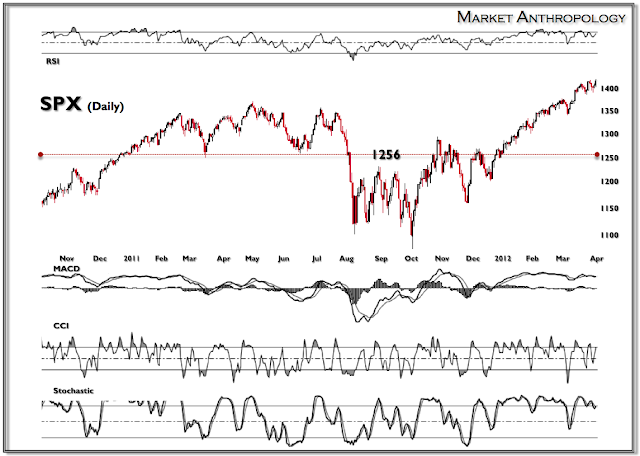 I find both the 1440, and the low of 1256 from 2008 - significant to recent and future market structure. SPX 1256 is very close to where the market started 2012 (1257) and was a crucial level last year as the market bounced in the first half from it and failed at that level in early August. I had also spoken last year about the significance of the level as it related to the beginning of the crash sequence that led to the meridian break in October of 2008. 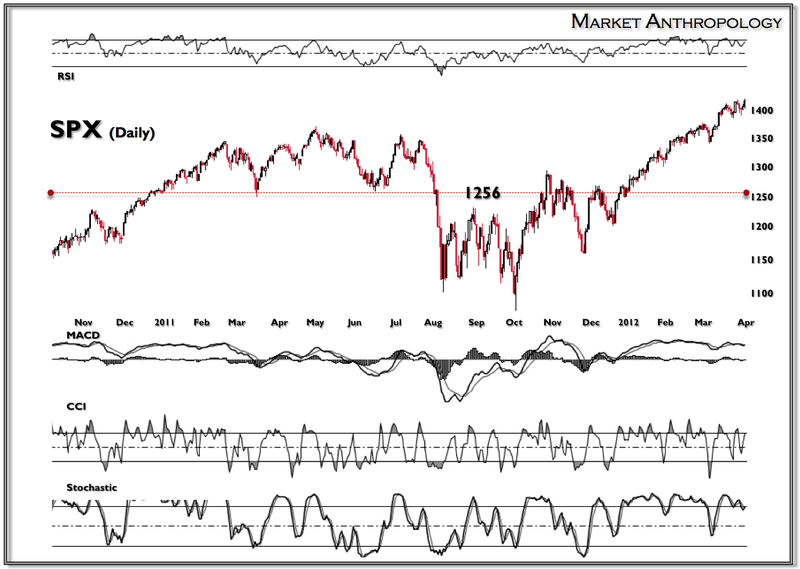 At the time, the market rolled over going into September, then retraced to what became resistance at 1256 - before starting the post Lehman swan dive. 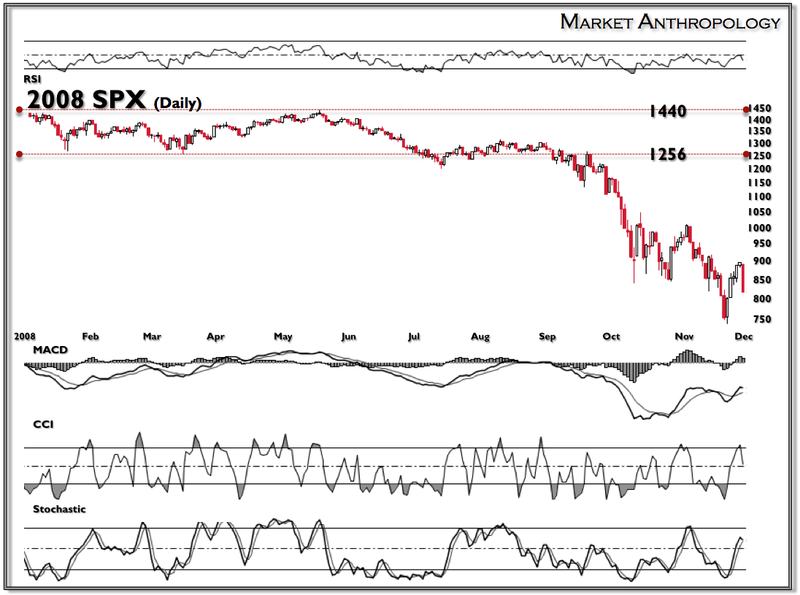 With insulting hindsight - you could argue that once the market chose to not roll-over in late January of this year - the next level of any material historical (outside of the current bull) resistance was 1440. As someone who believes in the significance and interpretation of the market's structure, I am always looking to put things into a contextual framework that has as much connectivity to the historical record.